Can't get your winged liner perfect? Unable to blow-dry your hair correctly? I have some news on an event that might interest you..
We have been planning this workshop with a while now and I am so excited to share it with you. 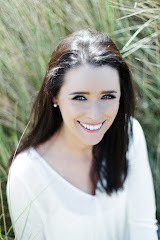 I am collaborating with award winning hair stylist Cathriona Rohan , to bring you... The Beauty Duo! 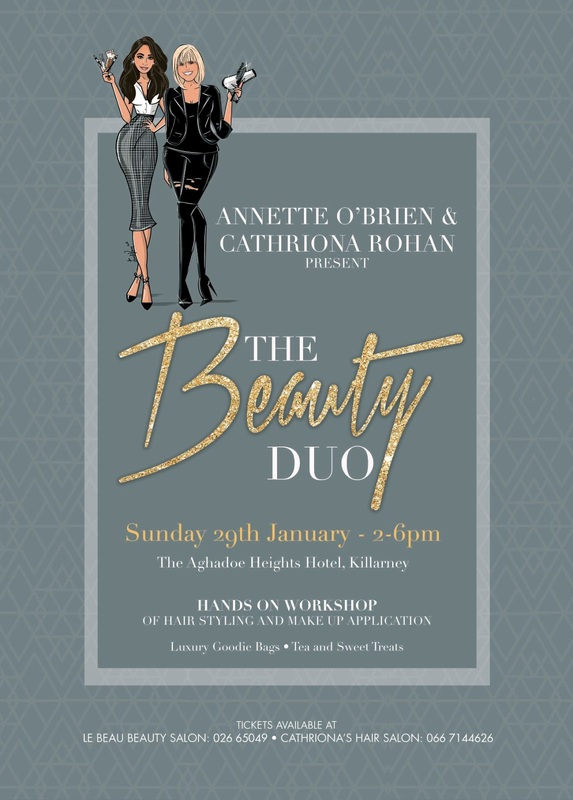 We are hosting our workshop at The Aghadoe Heights Hotel On Sunday 29th January. This workshop will be a little different - everyone who attends will get to work hands-on in the class! On the beauty side I will demo a full makeup look with contouring and a smokey eye - everything from lashes to eyeliner to that perfect brow plus I will be there to guide you step by step as you work. Cathriona will be teaching everything hair - tips to get volume in seconds with turning a day-to-night time look, how to style that awkward fringe plus chatting celebrity trends. We have an amazing goodie bag for everyone containing all things hair and beauty. And while you drink some tea and eat sweet treats, we will answer any questions you may have. Tickets are priced at €50 and are limited. They are available at both our salons: Le Beau Beauty Salon and Cathrionas Hair Salon if you wish to purchase. I'm thinking this would make a really good Christmas present for a fabulous day out together.